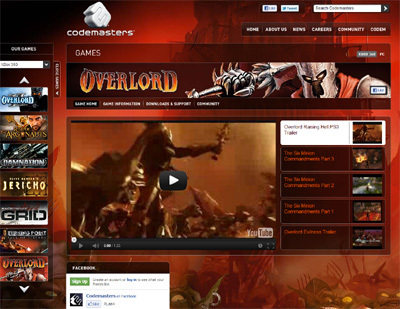 Overlord is a brilliant new game from Codemasters that will test all of your gaming skill to the max as you try to navigate and complete the various tasks that are laid before you. The game has excellent graphics and a really smooth game play engine and is highly addictive and will be sure to have you captivated for hours on end. Top quality game from one of the best developers around. We have also compiled a Review System for this, of which Overlord is Rated as Five Stars, the highest possible score available from the Game Review Team.